McArthur’s range of Mecmar mobile grain driers offers a comprehensive selection of models, options and features. Whether you are looking for an electric automatic mobile grain drier or something tractor driven and readily portable, there is a Mecmar for the job. 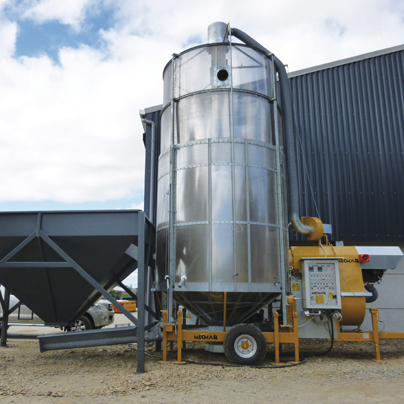 This range of Mecmar grain driers is designed to be compact and highly mobile. Small silo diameters and low transport heights make them suitable for regular relocation. Commonly the drier capacity will be matched to grain trailer size or be used automatically with a large hopper. The FSN 15 T matches the capacity of modern grain trailers making loading and emptying the drier simpler. Also drying two batches gives enough grain for a full lorry load. 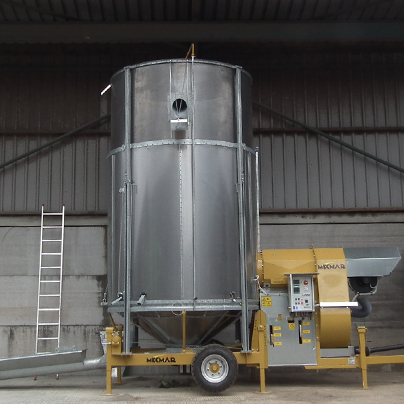 The most popular range of Mecmar grain driers offer excellent daily productivity whilst still being readily mobile. A broad range of models with different dimensions and power requirements mean there are options to suit most existing power supplies and buildings. The D 24 T is the most popular model in the Mecmar range while the SSI 28 T is used by those either filling from or emptying to a lorry. The D 18 T has a low power supply requirement making it suitable for most farms. This range delivers unrivalled construction and daily productivity. Telescopic screens, super single wheels and heavy duty chassis make the driers readily transportable. The low operating height of the S 32 T and capacity to dry a full lorry load makes it a popular drier that can fit into a small building. 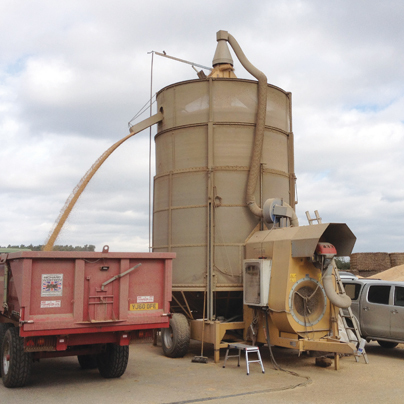 The S 43 T is the largest capacity mobile grain drier available on the UK market.